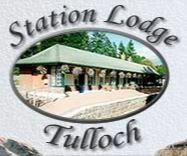 TULLOCH LODGE BUNKHOUSE is a relaxed, comfortable and friendly place, set among some of the most beautiful scenery in Scotland. The hostel is located in a converted railway station on the famous West Highland Line, and is in an ideal location to pursue the many outdoor activities for which the Scottish Highlands are famous. These include canoeing, climbing, mountaineering and walking, to fishing, cycling, snowboarding and ski-ing. As a base away from the bustle of nearby Fort William, Station Lodge in Tulloch is an ideal choice from which to explore this area of Scotland, known as Lochaber. INDEPENDENT HOSTEL GUIDE offer ideal accommodation for groups, families and individuals involved in outdoor activities and independent travel. They have private rooms, flexible lengths of stay and self catering kitchens designed for groups. Perfect for reunions of families and friends. There are currently over 350 hostels/bunkhouses to choose from. INDEPENDENT BACKPACKER'S HOSTELS SCOTLAND is an association of over 100 independent hostels throughout Scotland, stretching from Galloway in the remote south-west via Edinburgh and Glasgow to Orkney in the north and the Outer Hebrides in the far west of Scotland, with many places of interest and outstanding scenic beauty between. The SCOTTISH YOUTH HOSTEL ASSOCIATION is a self-governing voluntary organisation, established in 1931, with over 30,000 current members across all age groups and an active committee structure. As a not-for-profit business, any surplus is invested back into the organisation, enabling them to develop the network and to ensure high standards in existing properties. The network of over 60 Scottish Hostels includes purpose-built premises, historic buildings and country cottages - in towns and cities, and in remote, rural and island locations. The YOUTH HOSTEL ASSOCIATION is a charity with a clear mission, to inspire all, especially young people, to broaden their horizons gaining knowledge and independence through new experiences of adventure and discovery. Here you can find out all you need to know about YHA as a charity. Learn about our past, present and future, key people and how we work together to reach out and enhance the lives of young people. HOSTELS.COM, with over 6,000 hostels listed, has got the largest and most up to date hostel database on the web. Most of these hostels can be reserved online, so you're sure to find accommodation that fits your needs, at a price that suits your budget! The MOUNTAIN BOTHIES ASSOCIATION is a charity which looks after about 100 shelters in some of the remoter parts of the UK (mostly Scotland). They welcome new members who use bothies and want to join in the extensive repair and maintenance programme e.g. over a weekend to repair windows and loose door hinges or, over a week or so, to construct a new roof and floor or create a new bothy out of a near ruin. The bothies belong to the landowners who allow the MBA to maintain them for use by those who love to roam, and respect, the great outdoors.